iBooks is a free app from Apple that is the default way of reading ebooks on an iPad (or iPhone or iMac, for that matter). 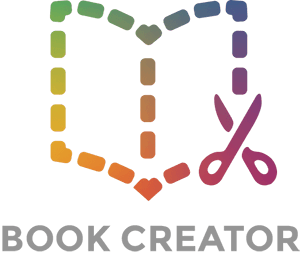 Book Creator's fixed layout output is optimised for iBooks, and you can export your book as either ePub or PDF to read your book - but note, you'll only get the audio and video elements if you choose ePub. From the My Books screen, tap the export icon (the one on the right beneath your book) and choose Export as ePub or Export as PDF. This time, you won't see the iBooks icon immediately. You'll need to tap the icon which says Open in... first (it's the one with the 'A' for apps). You'll see the dialogue box saying Exporting and then you'll get a new sharing screen where you can tap on the icon that says Open in iBooks. You can choose how your book displays when you export it to iBooks. Tap the Inspector beneath your book on the My Books page and choose iBook display settings. If you choose Side by side pages, your book will have the page-turning effect in iBooks. Single pages will display your pages one by one, with a sliding effect from page to page as you swipe between them. NOTE: If you choose Side by side pages, iBooks will automatically insert an inside front cover and an inside back cover to your book - making your cover page the first page inside the book. We know this annoys some people, but there's nothing we can do about it, unfortunately.